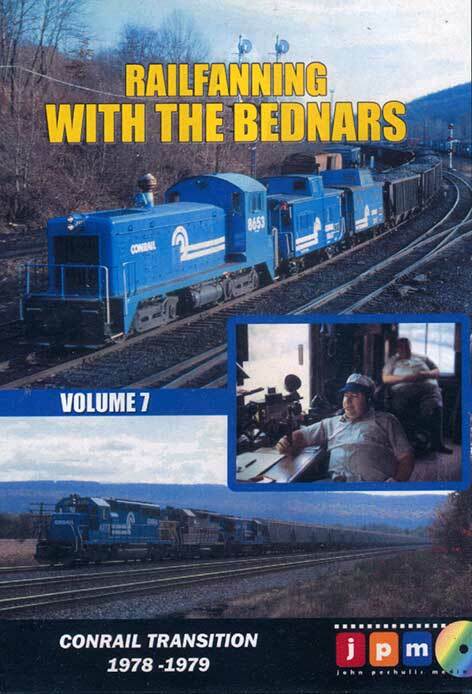 Railfanning with the Bednars Volume 7 continues our tour with the Bednar boys during the Conrail transition in 1978, 1979. In the late 70's, Conrail began the major transition to unify and make operations more efficient. They began consolidating and rebuilding the ailing former Anthracite railroad infrastructure and equipment. Although many iconic railroad landmarks would soon disappear, these changes created new and interesting operations in the northeast. While much of the footage is concentrated in the Lehigh Valley area, the boys made their usual pilgrimage to capture the action in western PA as well. Sit back and let Big Mike tell the story of the late 70's northeast Conrail transition as only he can with his usual colloquial humor.